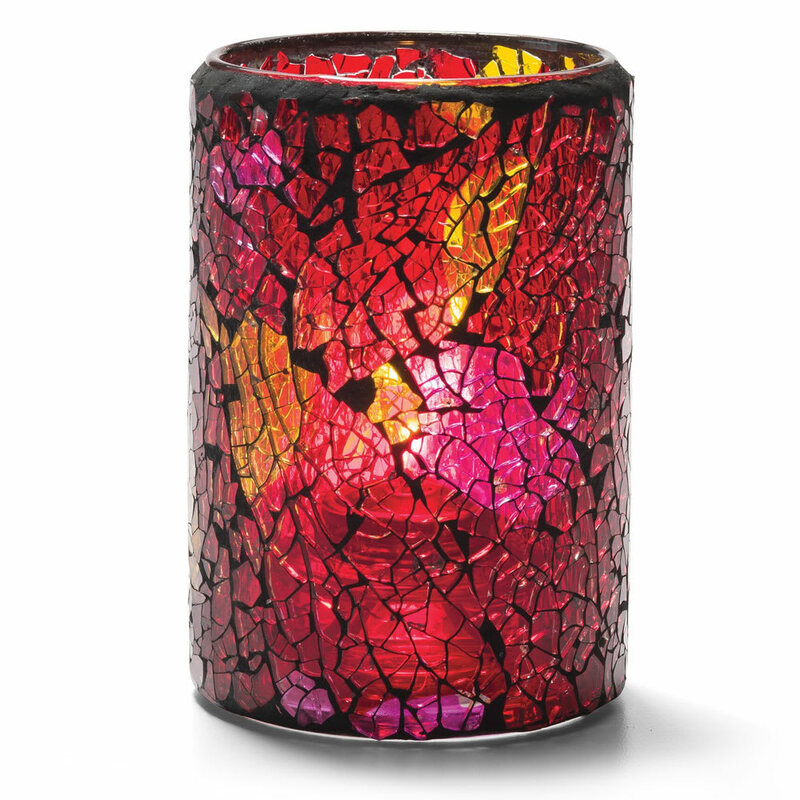 When used with a tea light, the mosaic-like crackle design of this Hollowick votive is illuminated with warm, autumn shades of red and gold. Use Hollowick's HD26, HD17, or HD12 fuel cell with this crackle lamp to add an inviting glow to bar tops, your fireplace mantle, or any atmosphere that could benefit from a touch of candlelit magic. 4-1/2 in. H x 3-1/8 in. dia. 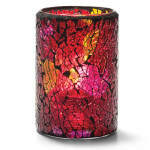 Crackle Lamp, cylinder style, glass, red & gold, 4-1/2"H x 3-1/8" dia., Hollowick's accommodates HD26, HD17, or HD12 fuel cell.